May Your Plunders be Great! And your generosity towards others greater! As pirates we want you to pillage our silent and live auction, enjoy a night of vittles and grog with us, however you also have a chance here to make a general donation. No act of generosity is too small to make a difference in a pirate's life. The Dive Pirates Ball begins our 15th year with an irresistible call to adventure, which highlights both the uniqueness of our program and the opportunities for growth through scuba diving. The mission of Dive Pirates is to extend that rock star quality to our recipients and create that sense of a larger than life adventure. Please Note: We will add a shipping fee to those items that cannot be picked up by the winner. Good Luck! She flirts with your senses, she promises something just beyond your reach, or so you think, until you realize it's exactly what you need? an adventure that doesn't see your frozen legs, your labored movements. She welcomes you to the waters that give you freedom to move, to join the crew, to enjoy the beauty around you above and below the surface. 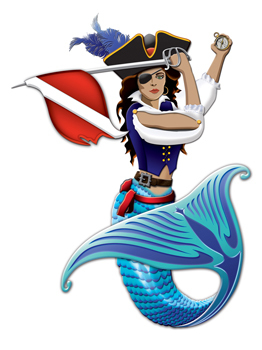 This mermaid welcomes everyone in the dive industry to share the bounty of the sea with adaptive divers, and she needs your help to support the 2019 recipients of the Dive Pirates Foundation on their journey through training, fundraising, and ultimately joining her and those who have come before them. 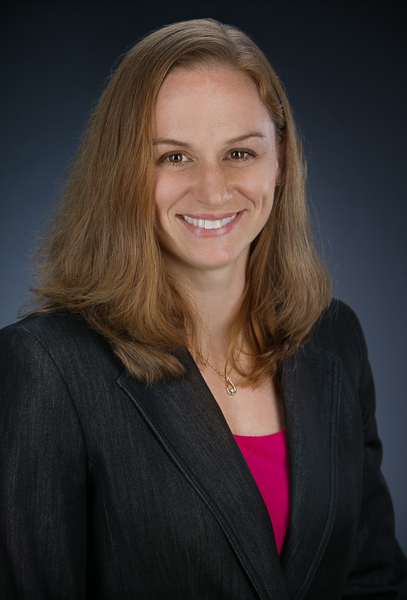 Army Major Lisa Jaster is a soldier, an engineer, a wife and mother, and a trailblazer. One of only three women to graduate from the first integrated United States Army Ranger program-one of the most difficult combat training courses in the world-Lisa was the first female Army Reserve officer to become a Ranger. She completed the training, which 36 percent of male and female students fail within the first four days, after refusing to succumb to exhaustion and repeatedly "recycling" through, or retrying, several phases of the multi-locational course. Lisa endured the training, which takes a minimum of 61 days and includes up to 20 hours of training per day alongside a strict diet, for a grueling six months. She graduated at age 37, while the average trainee age is 23. Wu was born in England and served in the US Marine Corps for 24 years with multiple commands and deployments, including the first Gulf War, Somalia, Kosovo, Colombia, Iraq and Afghanistan. 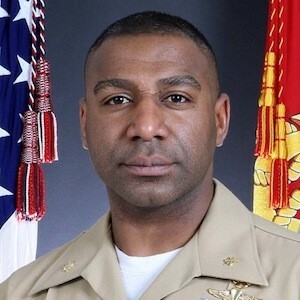 A special operations commander, he retired from the Marines in 2010. His injury stems from a car accident in 2014; he was crossing an intersection when someone ran a red light and collided with his motorcycle causing an incomplete spinal cord injury. Wu uses a wheelchair for his mobility and continues intense physical therapy to regain strength to be able to use crutches for very short distances. Recruit injured veterans, law enforcement and emergency first responders and others who are medically qualified and physically disabled. 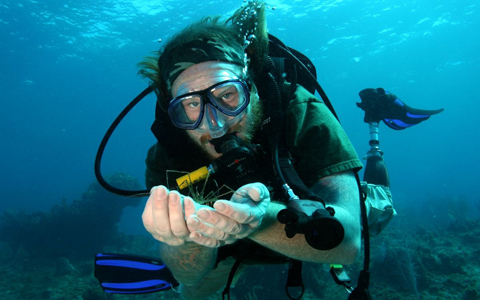 Train and equip recipients to scuba dive along with an adaptive dive buddy. Take recipients on a trip of a lifetime. Raise funds through annual fundraisers, memberships, sponsorships, corporate giving, crowd-funding websites, grants and dive chapters. Most importantly we encourage our pirates to keep diving and enjoy this life-changing mobile sport with family and friends for a lifetime. Based on camaraderie, compassion, freedom to dive and the Code of Conduct, the Dive Pirates Foundation will support, train, equip, and provide dive travel to individuals with disabilities through Adaptive Scuba Diving. If it's the PIRATE LIFE for you, then we welcome your involvement in any way you choose!